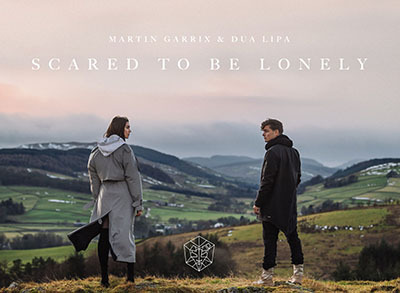 "Scared to Be Lonely" is a song by song by Dutch DJ Martin Garrix & Dua Lipa. The song was described as a 'pretty pop-heavy' track with a big build and a 'playful' synth hook. Garrix premiered the song at the AVA Festival 2017 in Myanmar in January for New Year. The song "Scared to Be Lonely" was written by Garrix along with Giorgio Tuinfort, Nathaniel Campany, Kyle Shearer and Georgia Ku featuring the vocals from British singer-songwriter Dua Lipa. It was released on 27 January 2017.